I have always been somewhat enamored by the Confederate Motorcycle offerings. They are very incredibly unique, so much so they are pretty polarizing. You either love them or you hate them. They are mighty pricey, but they are hand made. I still don't know if that makes them worth $139K. Hand made doesn't always make them better. Depends on who's hands and if they were celebrating Oktoberfest I guess. Definitely cool, would like to know more about the engineering behind the design and very pricey. You'd get more performance for your buck, buying a bike from a mainstream manufacturer, in fact for the money, you'd get a full race spec Super-Bike! But, for drawing a crowd every time you park up, this would take some beating. Yea I'm thinking if you buy one of these, you won't be dragging your knee. You are definitely purchasing a statement ride. The company is local and my wife pretty much issued a restraining order from me going within 500 yards of the place. I like them as they don't look like a version of anything else out there. There are certainly some unique design elements, that add to the cool factor! Looks like they have changed their branding, assuming that it is the same company. Confederate Motorcycles used to make cool looking customs for the regular custom market. They had a swoopy (technical term) looking tank that could not be mistaken for another bike. They were reasonably priced for a custom. It would appear that they've switched to the "sell a couple a year for a lot of money" business plan. 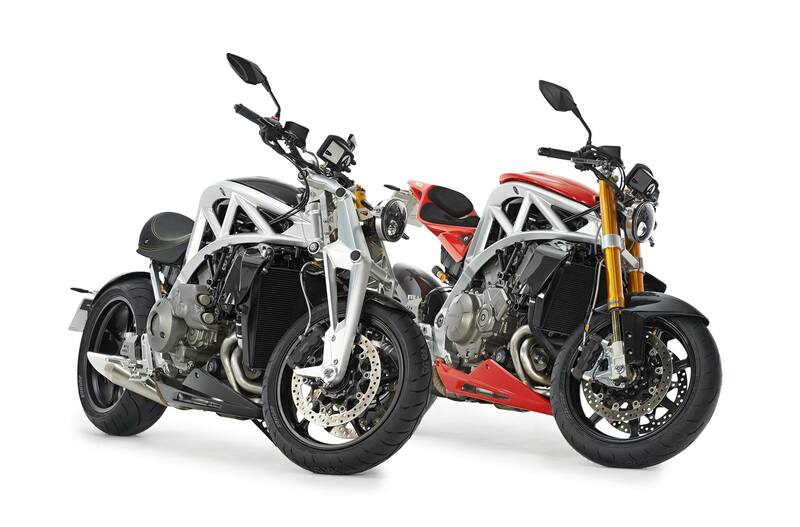 Ariel Ace is a better choice, plus it’s powered by Honda! Those are some funky looking front forks! It appears they are re-branding themselves.